9 Futuristic Technologies That Are Coming Out Later In 2017! Sci-fi movies are shown us so many devices that we can only imagine in wild dreams. But with the evolution of time and technologies, scientists are making those sci-fi technologies and devices into reality. Here are some of the futuristic technologies that are hit the market in 2017, and all of them will leave you completely speechless. Also Read: 9 Powerful Weapons in the World That Are Yet To Be Fired! This is a process by which scientists will be able to transfer one's brain into another's body. The experiment will be carried out later this year and the volunteer has already been found. The experiment failed in animals like dogs and monkeys. These bikes are called air bikes and the model is already designed and tested successfully. It will literally fly a few feet above the ground and it will have a maximum speed of around 72 km per hour. Well, only the wealthy people can buy them as the price could be around $75,000. As you may be aware that Google and Tesla have already designed and tested these cars. They will start production in large scale and by 2017, they will hit the market. It will have the manual driving option as well. This is already a reality with nearly 500 people gone outside Earth for a quarter of million dollars. Virgin company is now going to make it available and commercialize it and booking has already started and about to be closed due to high demand. These drones will pick up packages and dispatch to the right coordinates without any mistake or delay. Amazon will start it in large in 2017 especially for those urgent deliveries with light weight packages. Flexible smartphones are a product of sci-fi movies but Samsung has already designed it and it is expected that they will launch it by the end of the year to attract all the attention towards it from Apple. This would bring back the company back to track. Sony has designed a video contact lens which can record videos, replay it, zoom in and out, take photos and add special effects just by understanding your blinking gestures. How cool is that? 3D printing is a reality only and it has changed everything that we thought were impossible. So, a device is coming out that can print food as per your orders. Already, there are devices that can print Pizza. We have been eagerly waiting for affordable humanoid robots and it is going to come true in 2017. A penguin robot known as Kuri has been designed and it would soon be upgraded to a humanoid robot that will be your assistant obeying all the commands that it can perform. 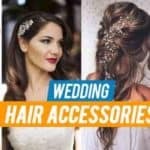 Previous article 10 Perfect Wedding Hair Accessories To Make You Look Stunningly Beautiful! Next article 9 Amazing Perfume Facts that you Would Never Believe! 7 Gadgets From The Future That Are Available Today! Some Crazy Amazing Technologies That Are Waiting For Us In Future! 5 Ways How Technology Made It Easier For Men To Find Women! 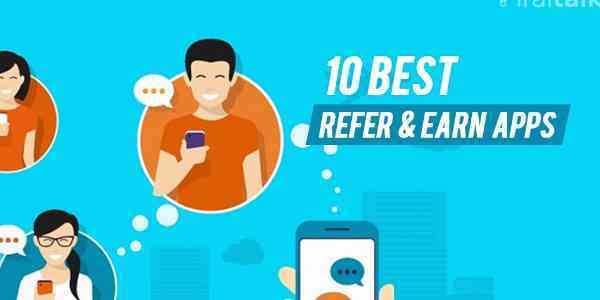 Top 10 Refer and Earn apps in India- No.6 Could Give you Rs.1800 per referral! Biggest Misconceptions About Electronic Devices We Still Believe! 10 Perfect Wedding Hair Accessories To Make You Look Stunningly Beautiful! 9 Amazing Perfume Facts that you Would Never Believe! Bizarre Food Combinations That You Might Find Surprising Tasty!